Is it worth reading books? How much time should you put into it? How can it assist with your personal growth? In this episode of The New Music Industry Podcast, I share why I choose to invest in my personal development. 03:26 – What is your motivation? What you are about to hear is the audio from a video I put together back at the end of February. You may hear me make mention of the New Year, but as I record this episode, it’s already the end of August. The video has obviously been sitting on my hard drive for a bit, and I just didn’t get around to editing it and publishing it until now. I also made a bit of a mistake. I said the book Tools of Titans is by Tim Francis. It’s not. The book was authored by Tim Ferriss. Tim Francis is a cool guy too. I’ve had the chance to talk to him in the past, but he didn’t write Tools of Titans. So, there’s my disclaimer for this episode, and without further ado, here are some thoughts on why we should invest in our personal growth by reading books. Thanks for joining me. Today I wanted to talk a little bit about books. This is not a new topic to the Music Entrepreneur community by any stretch of the imagination. I’ve already done some fairly in-depth posts and podcast episodes on a topic of books. I even have a ton of book recommendations on the website. So, there may not be a ton of new insights here, but I still wanted to take some time to talk about it, because I think it’s on a lot of people’s minds right now. That could be because we’re still fresh out of the New Year and we’re just about headed into March here as I record this. But it’s something probably many people are thinking about in terms of New Year’s resolutions, and goals, and how many books they are reading. I’ve succeeded in reading 52 books both in 2015 as well as in 2016. In both cases, a good chunk of those were books I hadn’t read yet, but there were some books that I had read before and took a second look or perhaps even a third look through those books. So, for me, as you can probably imagine, book reading is a very important part of my studies and my life. Really it comes back to the fact that I want to keep growing myself. So that’s a huge part of it. But I also am looking for insights and ideas and things that I can share with you. Even just seemingly small things, because all it takes sometimes is little tweaks in our lives to make it to the next stage or the next level of growth that we’re looking for. So, if I can find those ideas, I can find those concepts or even methods, whether it’s a marketing method or a method to apply to your life and fitness and health and things like that, I think there’s tremendous value on those things. I’m reading a book [called] Tools of Titans by Tim Francis right now. That book is full of those kinds of ideas and thoughts that could be of tremendous value. I’m getting some value from it, and hope to share some of that with you in the future. But that is why I choose to read 52 books per year. I want you to think about “the why” as well, because it’s not just about accumulating knowledge after a certain point. My friend Maveen Kaura says he’s done with personal development books. He’s read a ton of them. And he probably doesn’t need that inspiration or motivation anymore. He can motivate himself. You’re going to come to that point too if you’re reading a ton of books. Because you’ve probably seen so many different things and read so many different things, at some point it becomes a bit of a repetition of all concepts and ideas you’ve already heard about and already studied. So, again, reconnect with your why. 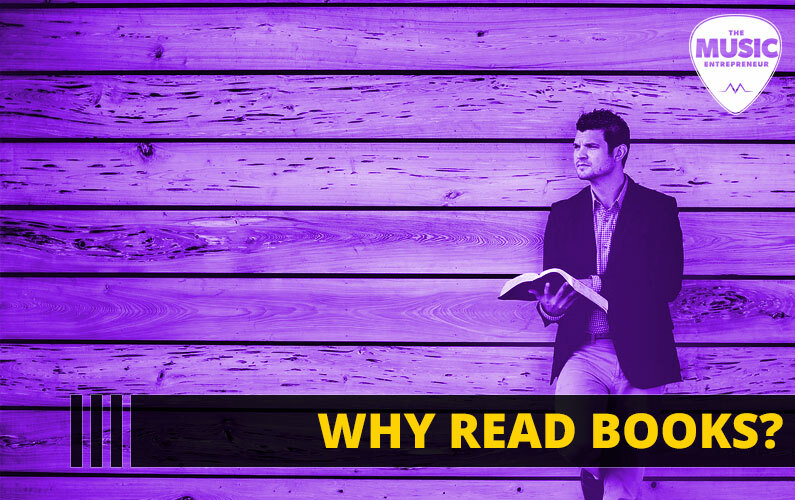 Why are you going to choose to read? I look forward to seeing your comments. Leave them below. I’ll be connecting with you later.